This glamorous thriller is enhanced by Laine’s background as a beverage manager and connoisseur. 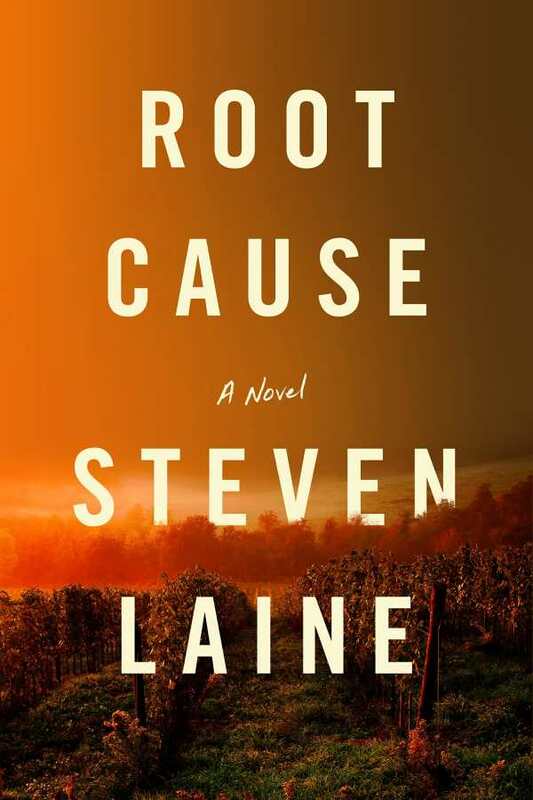 Ecoterrorism meets terroir in Root Cause, an incisive new mystery that centers on an international search for the source behind a phylloxera infestation. Steven Laine’s enticing plot illuminates the rarefied wine industry through his characters’ passion. When Corvina Guerra, a flying winemaker employed by Universal Wines, discovers an aphid while consulting at a vineyard, she recognizes its threat. Joining forces with Bryan Lawless, an aspiring Master of Wine and a blogger who’s made himself unwelcome among British wine experts, and Malcolm Goldberg, a San Francisco journalist, she sets out to stop the aphid from destroying the world’s vineyards, all while Interpol tracks her progress. Subthemes on genetic modification and the ramifications of a global contagion add depth. The people who stand to lose the most resound, and their path toward the truth is entertaining. Chapters build on incremental leads that showcase the trio’s perceptive abilities. The nature of phylloxera’s spread allows for tours through wineries; encounters with viticulturists; tense scenes in exclusive settings, such as a private tasting in Hong Kong, a hotel in Dubai, and a Vinexpo in France; and one especially accomplished set piece that is staged in the cellars of France’s Champagne region. The glamorous thriller is enhanced by the author’s own background as a beverage manager and connoisseur. From the nuances of wine aromas to descriptions of the drink business, there’s meticulous care taken to thread in authentic details. That Corvina herself comes from a family of winemakers intensifies her search for the culprits. A few characters are too thinly developed, including a Chinese industrialist who is drawn as an inscrutable, Bond-worthy villain and a French member of Interpol who is blinded by her own assumptions, responding to her subordinates with a tripwire temper that is played for comedy. An elusive student whose patents prove unsettling is given prominence as a suspect, but there is no direct confrontation to reveal his personality. The strongest character is Bryan, who possesses an appealing blend of hyper-tuned observational skills, quick thinking, and a renegade streak that can’t help but show up some of his former colleagues. With thoughtful pacing that builds toward dramatic actions, Root Cause bridges styles and genres with ease. A dash of potential romance between Corvina and Bryan, plentiful danger, historical tidbits, and the allure of travel fold into a colorful portrait of individuals risking everything to save not only their livelihoods but a storied culture. Here, the cyclical making of wine is revered from the first planting to the final decanting. As Corvina often concludes, it all begins in the vineyard.